We’re happy to be in the midst of that special time of year when we can’t stop celebrating. For this week’s holidate recommendation, we think you should celebrate the fact that the Mint Museum is FREE on Wednesday nights. Why do we so seldom take advantage of this amazing opportunity to see some of the best art in the city? Stop making excuses and head Uptown starting at 5:30 to start the evening. 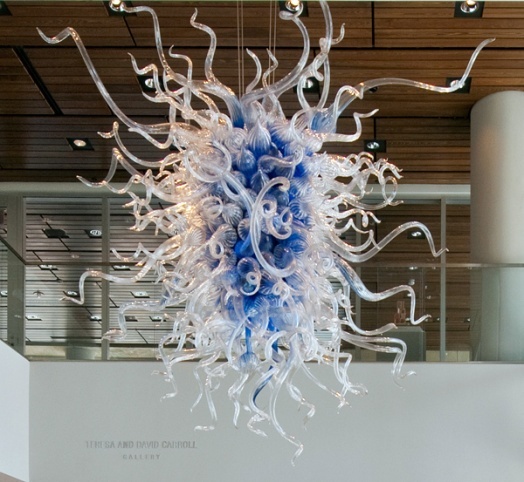 Royal Blue Mint Chandelier, Dale Chihuly, 1998. Blown glass, 116.5 x 120 x 96 inches. Property of The Mint Museum. Untitled, Kristina Rogers, 1990-2000. 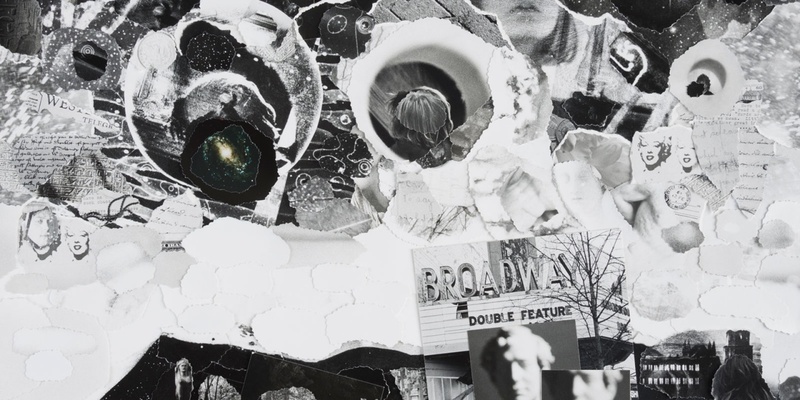 Gelatin silver print and mixed media. Collection of the Mint Museum. The museum features a WOW (Wine on Wednesdays) program, which is a cash bar, but we recommend you take in the city from a table at Halcyon. Grab a cheese plate with regional selections from the best dairies around, and top it off with a cocktail (we like the ‘Some Pig’!). For dinner, if you’re feeling especially fancy, we recommend Bernardin’s across the street. Where else in Charlotte can you find Duck breast, New Zealand Venison, and Kangaroo Loin all on one menu? Lastly, the skating rink outside the Nascar Hall of Fame is open until 10 p.m. Cap off your evening under the stars with your sweetheart!